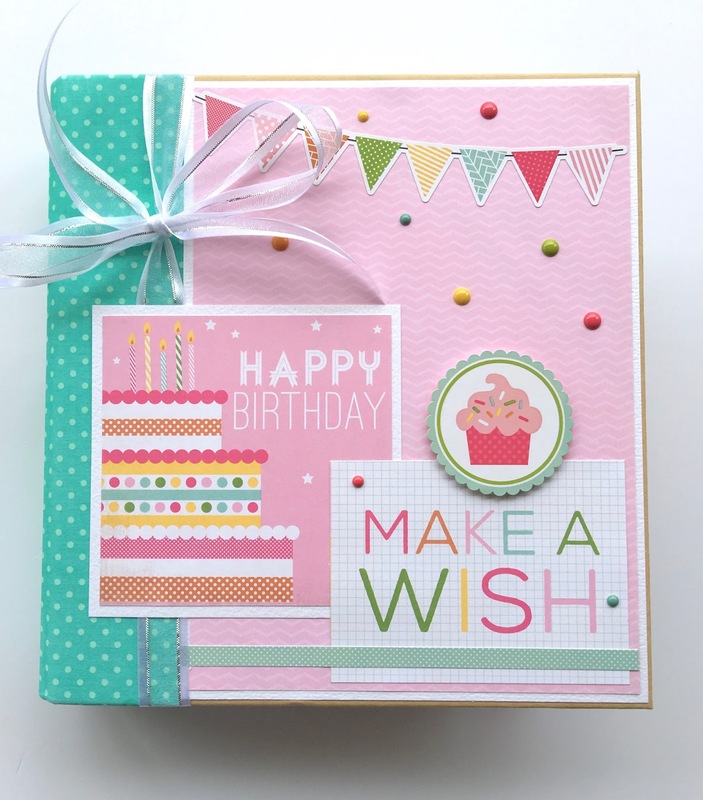 We have new birthday scrapbook kits in the shop this week! They come in two color combinations, and are packed full of fun embellishments and space for saving photos and celebration memorabilia. 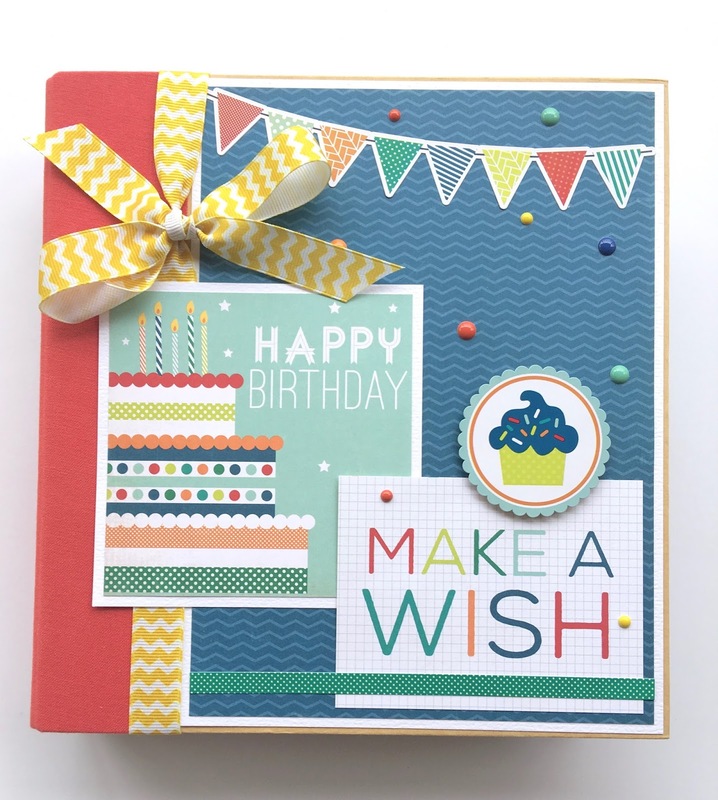 The colorful paper is from Echo Park Paper Co. and there are 12 pages in each wonderful album. 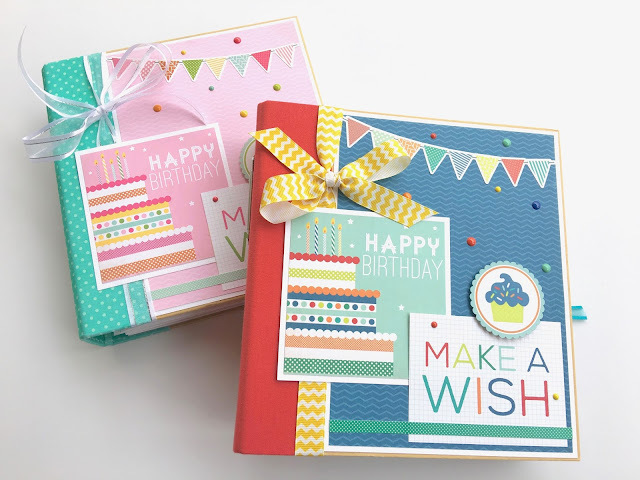 At least 35 photos will fit on the double-sided scrapbook pages and even more pictures can slide into the divided plastic photo sleeves that are included. The title on the cover says "Happy Birthday ... Make A Wish" and other pages say "Celebration", "Party Time", and "Wish Big and Blow out Your Candles". There are pockets for memorabilia or extra photos, and all of the supplies are pre-cut for you if you purchase the DIY kit. 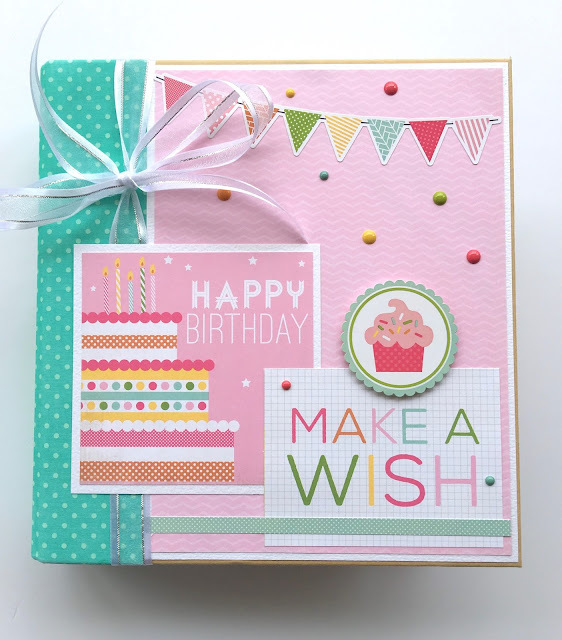 This book would make a wonderful gift and it's perfect for sharing wonderful birthday moments with friends and family.